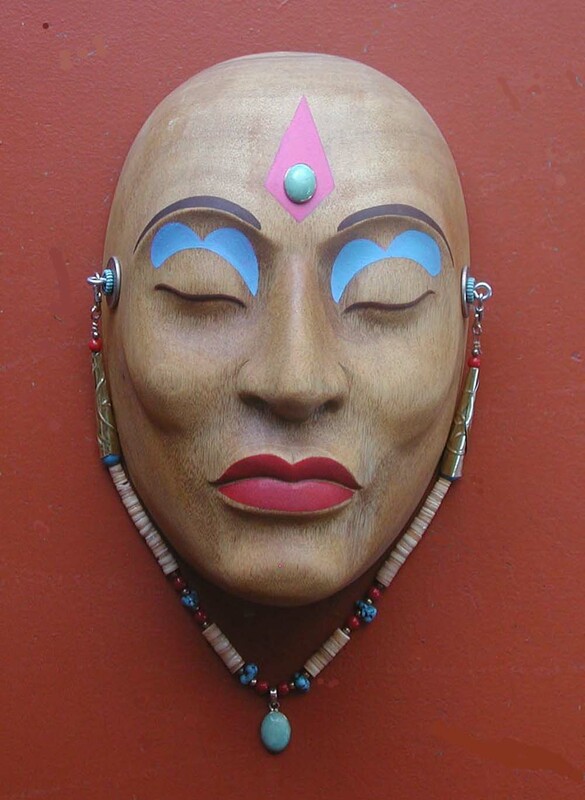 Carved Mahogany, Painted with acrylics and decorated. 11.5 inches round, 2004, $1,000. 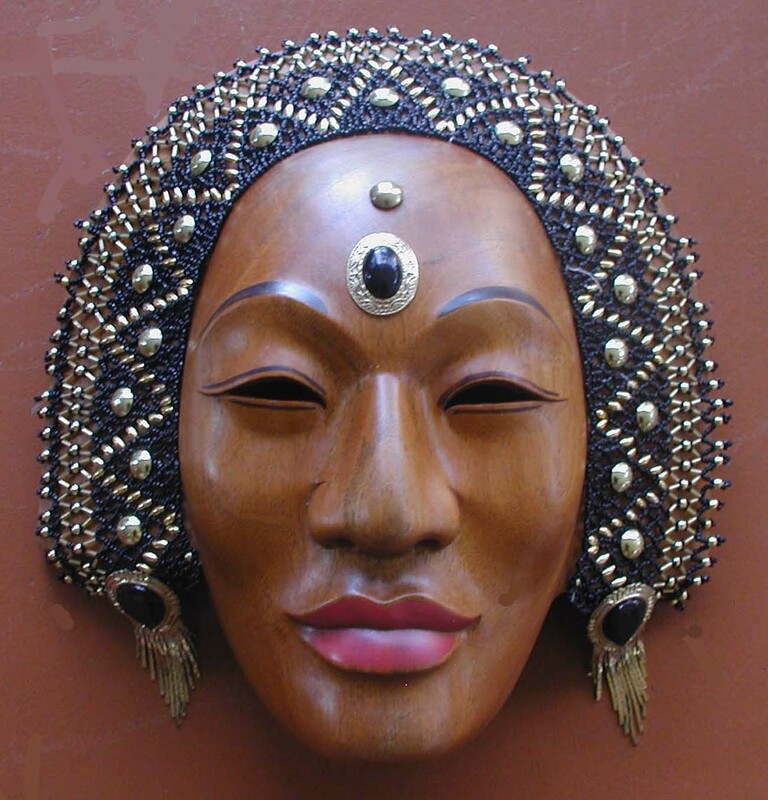 Carved Mahogany, Beaded by Carmen Guerrero, 2004, $2,000. 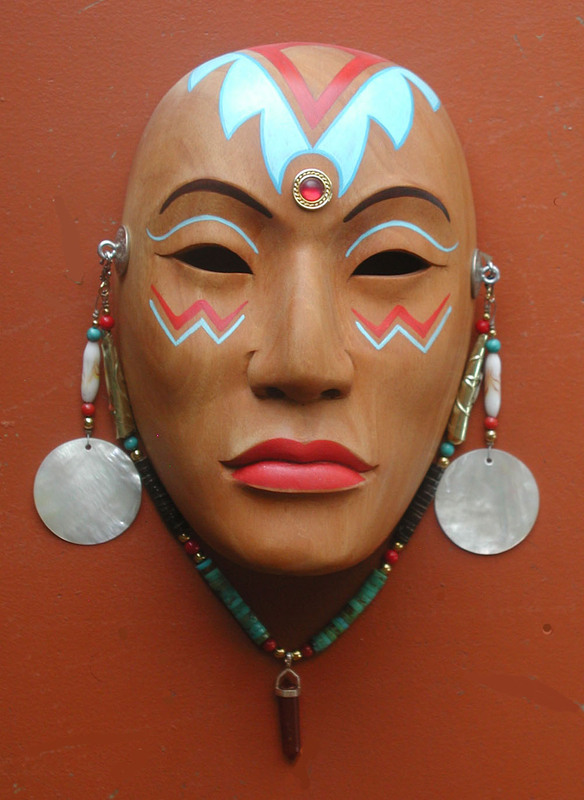 Carved Mahogany, painted with acrylics and decorated. 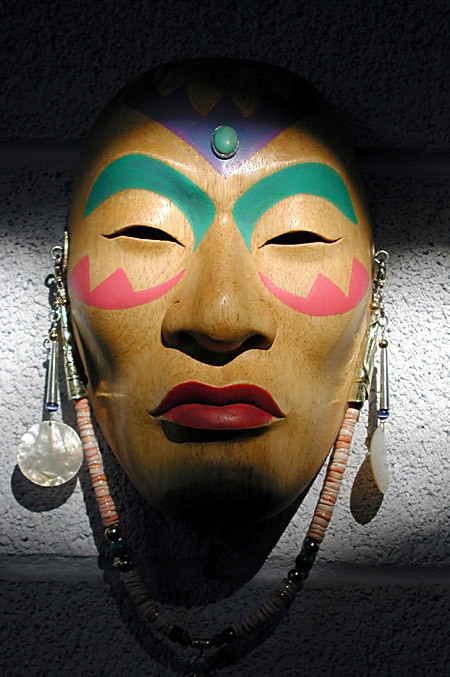 Healing Masks Series, 2004. $650. 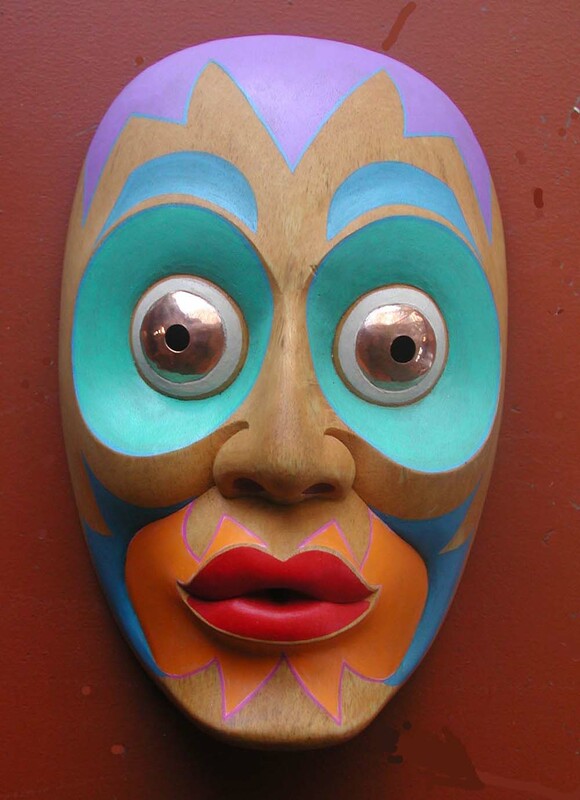 Carved Mahogany, inlaid copper eyes, painted with acrylics. 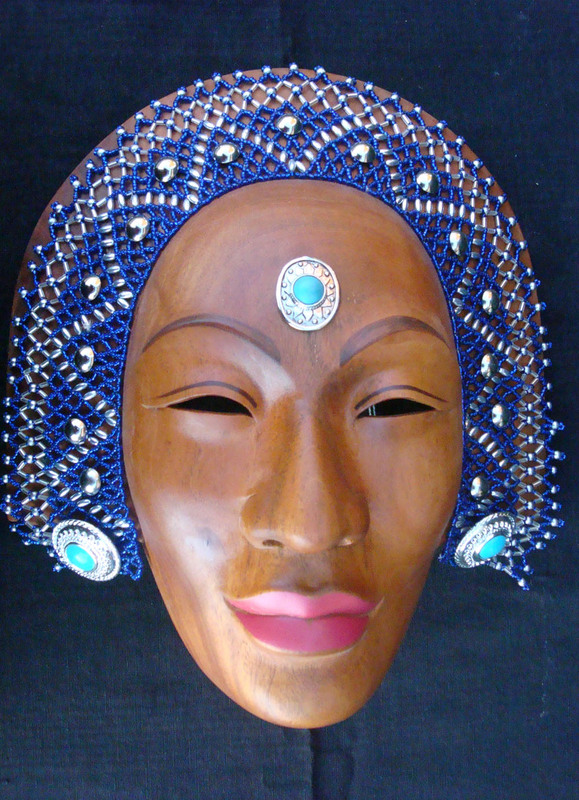 Large mask: 5.5 x 8 x 12. $750. 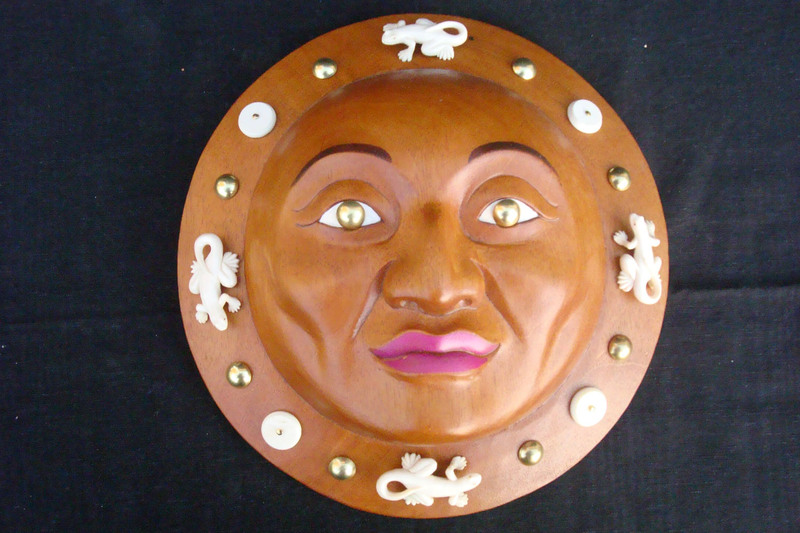 Carved Mahogany, painted with acrylics and decorated. 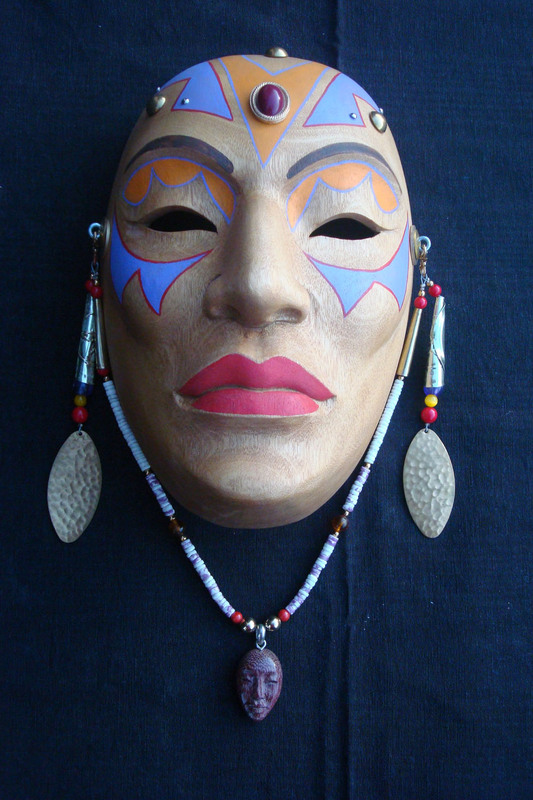 Healing Masks Series, 2004. $700. 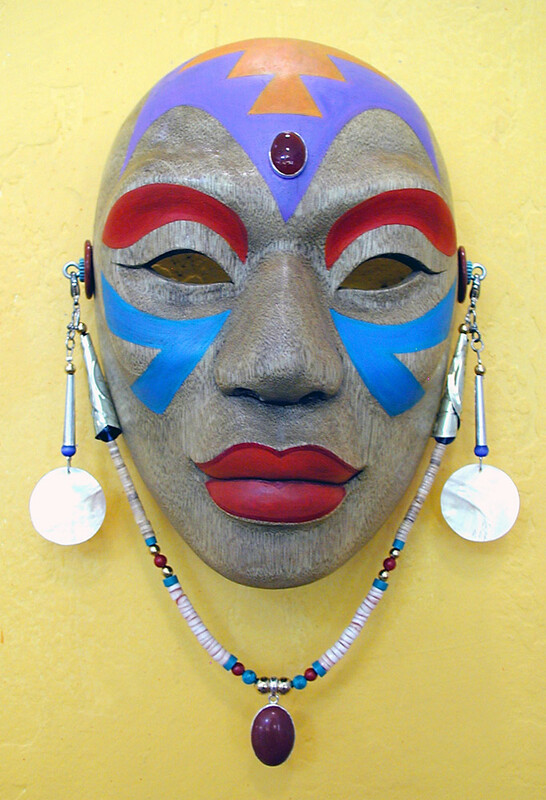 Sold at the Heard Museum Indian Market, March 2005. Similar available upon request. 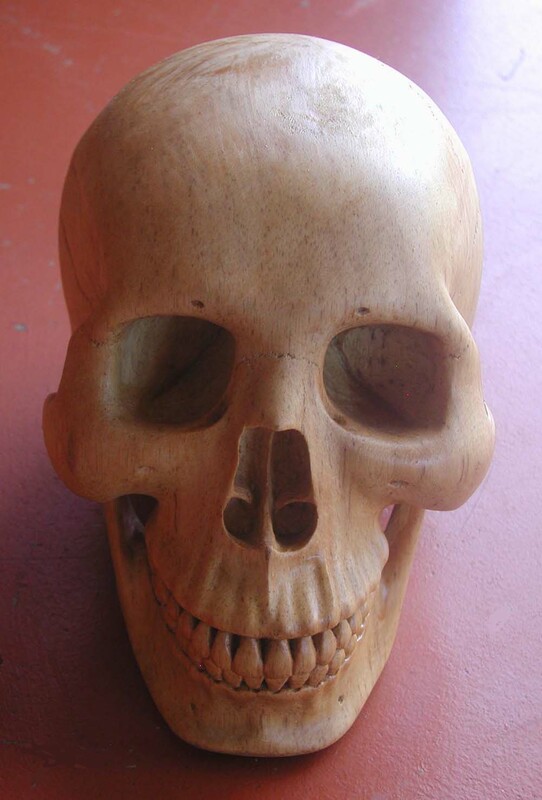 Carved wood/Mixed Media by Zarco Guerrero 2003. $650. 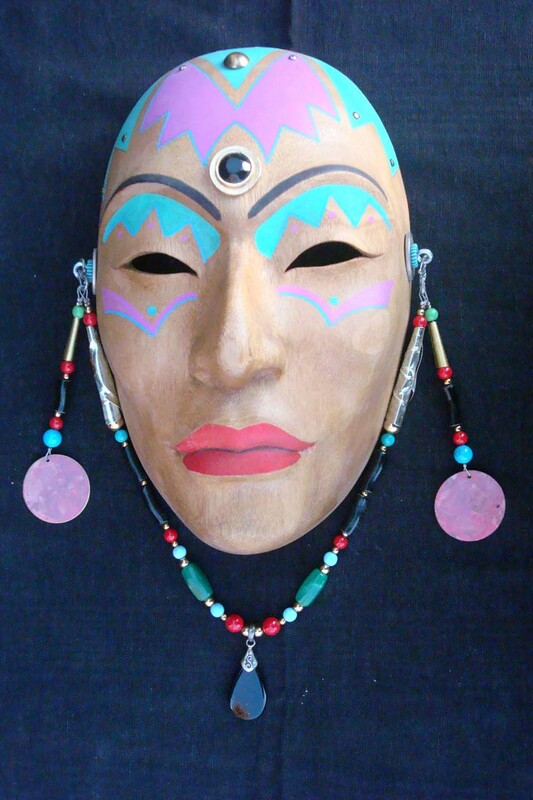 Part of the "Healing Masks" Series, available at the Artist's Studios in Mesa, Arizona. 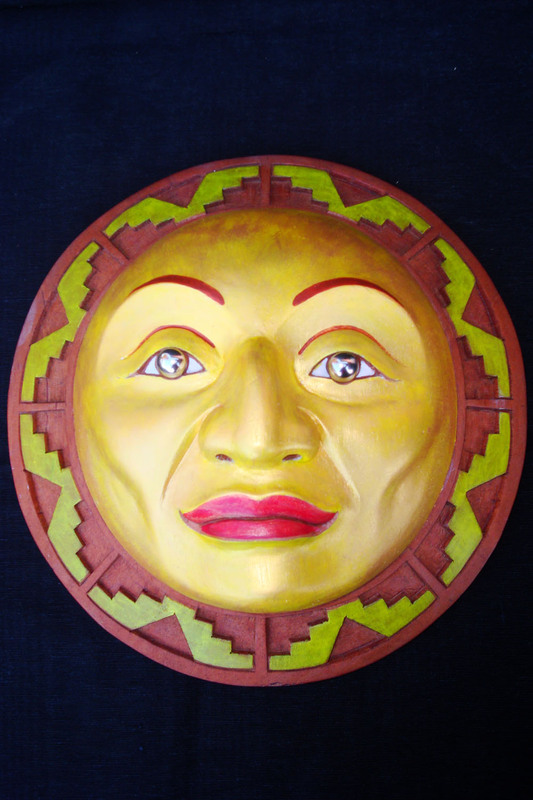 Fuego, Carved Wood by Zarco Guerrero 2002. $750. Presently in exhibition at Casa de Artistas Gallery in Scottsdale, Arizona. Corner of Main and Marshall Way, downtown Scottsdale. 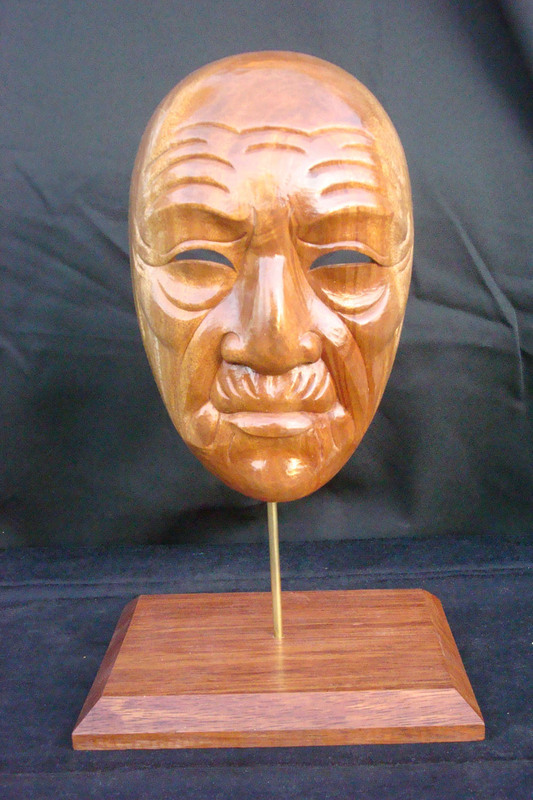 Olmeca Carved Mahogany by Zarco Guerrero 2003. $600. 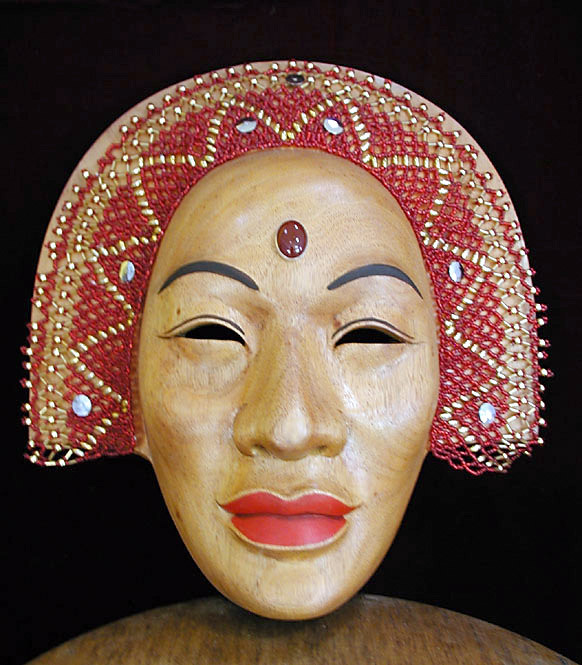 Red Beaded Lady 2003 by Zarco Guerrero. Also available in black and blue beads. 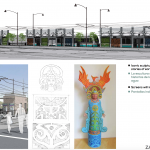 $2,000. 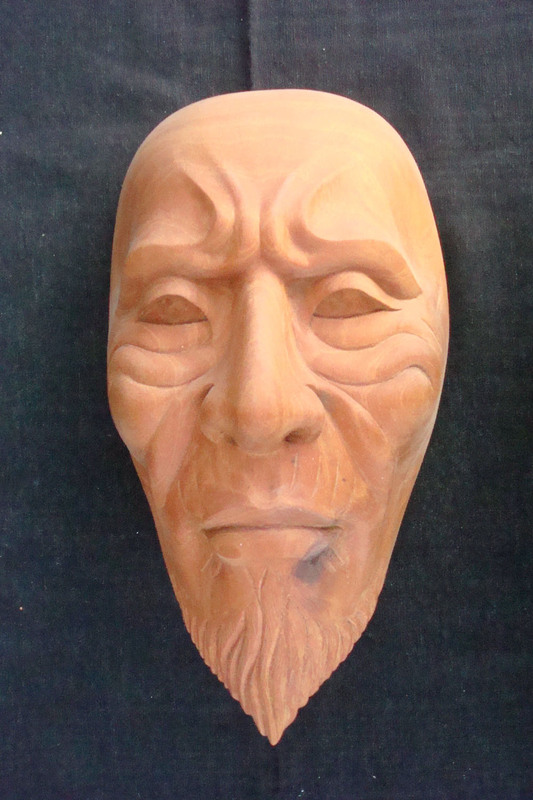 Healing Mask Series 2003 by Zarco Guerrero. $500. Collection of Peter & Sarah Garcia, Phoenix. 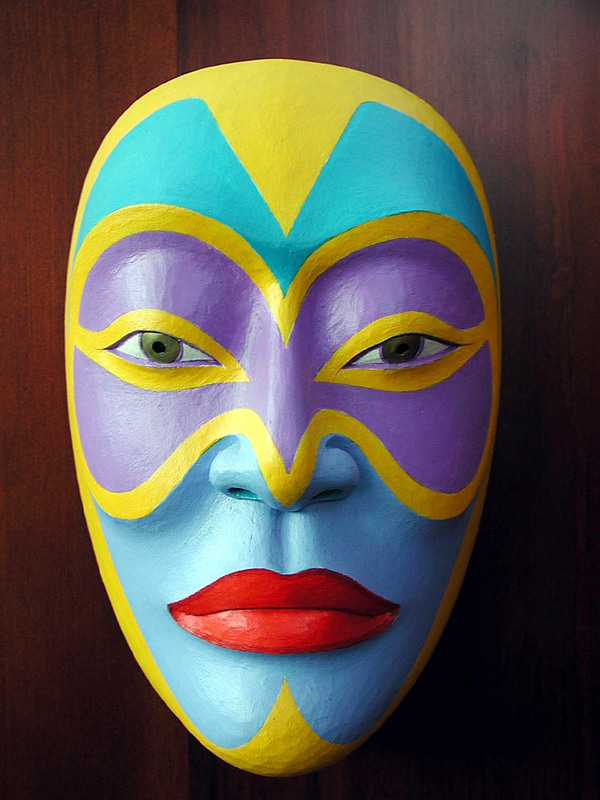 Similar masks 10" high, painted and decorated, available upon request. 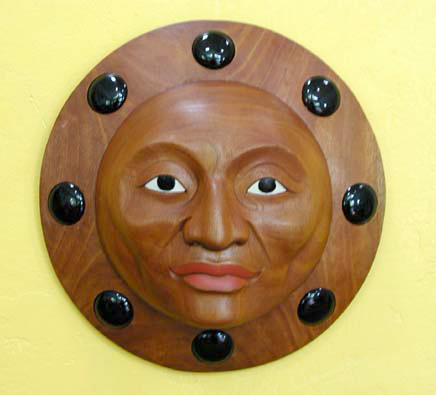 Luna Negra 2003 by Zarco Guerrero. 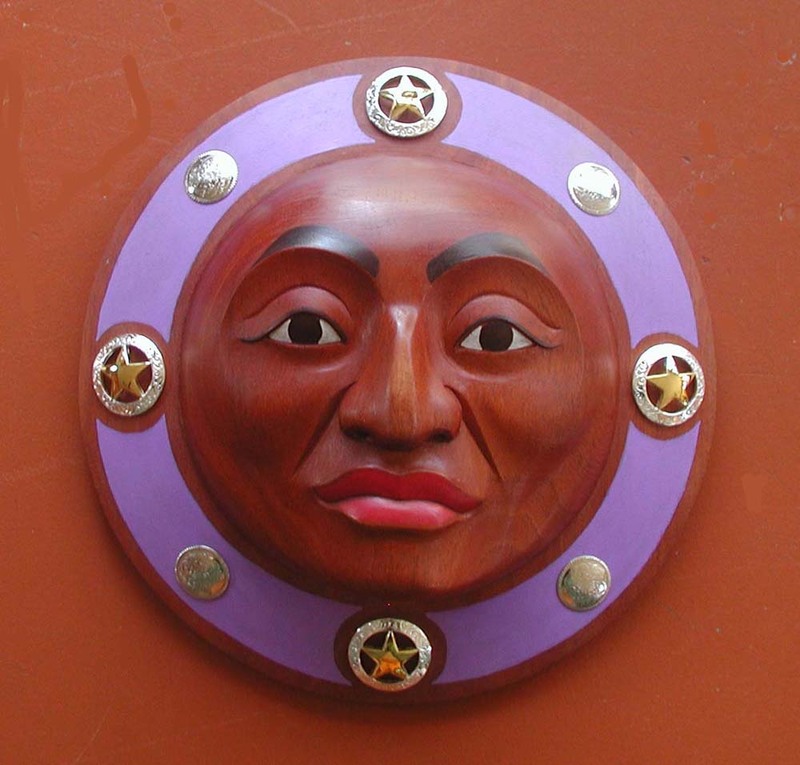 Carved Mahogany with obsidian inlay. 20 Inches. $1200. 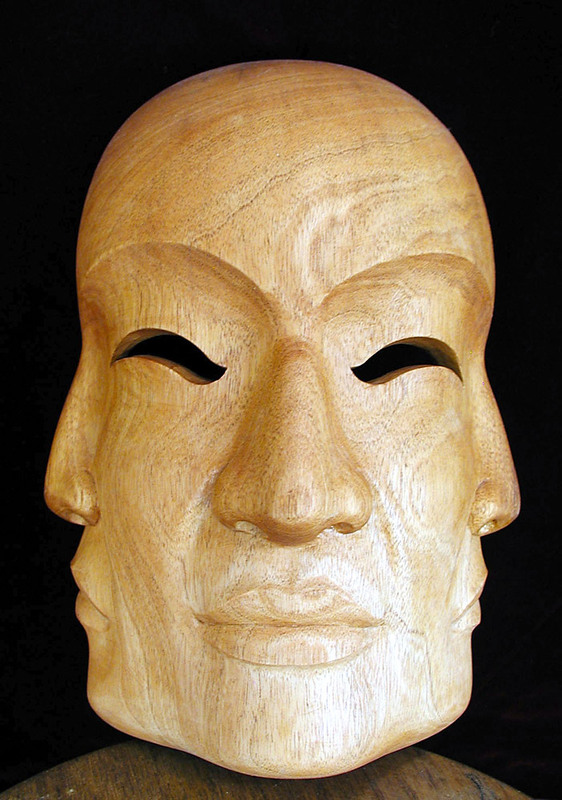 Zarco began carving wood in 1986 when he received the Japan Fellowship from the National Endowment for the Arts. 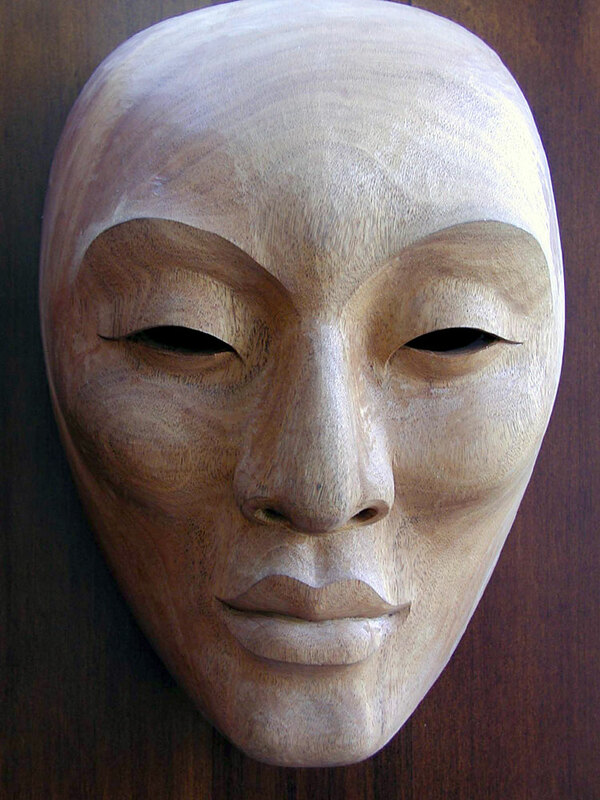 He lived in Kyoto, Japan for one year and was the first non-Japanese apprentice of Master Noh Mask carver Joshun Fukakusa. 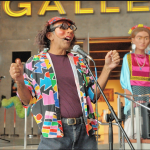 Joshun shared the ancient secrets with Zarco on how to create the most sophiscated of all theatrical masks. 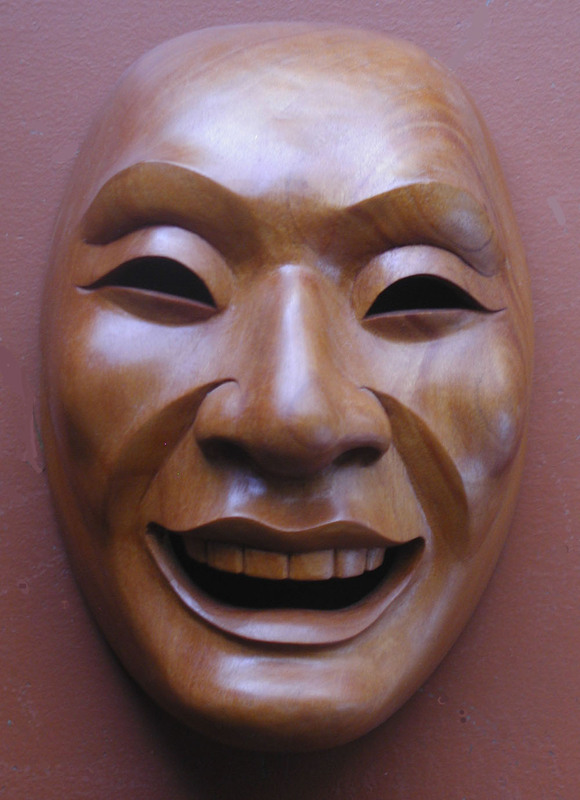 The Noh Theater was the ritual theater of the Samurai class and demanded a high level of skill and discipline. 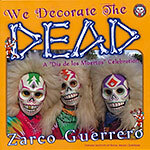 Zarco then travelled to Bali, Alaska and Mexico to carve side by side with master carvers. 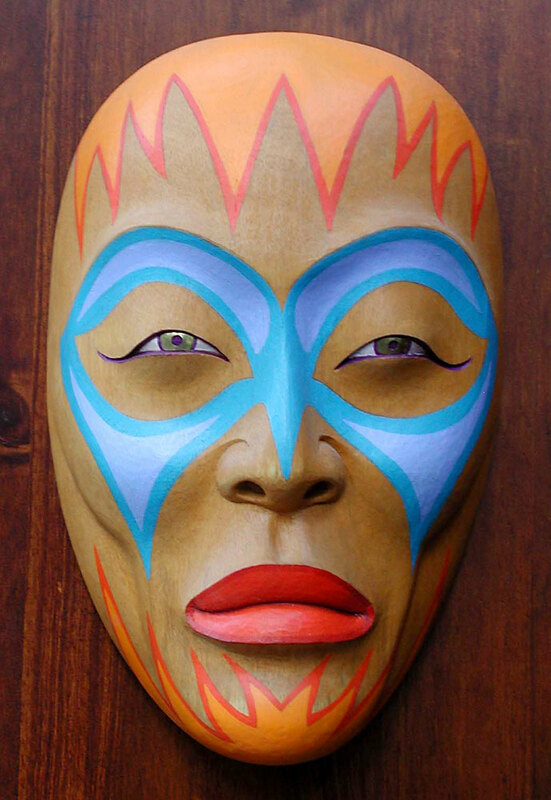 The artist is currently blending various styles learned from these experiences to create a hybrid style which reflects a world view of the mask art form. 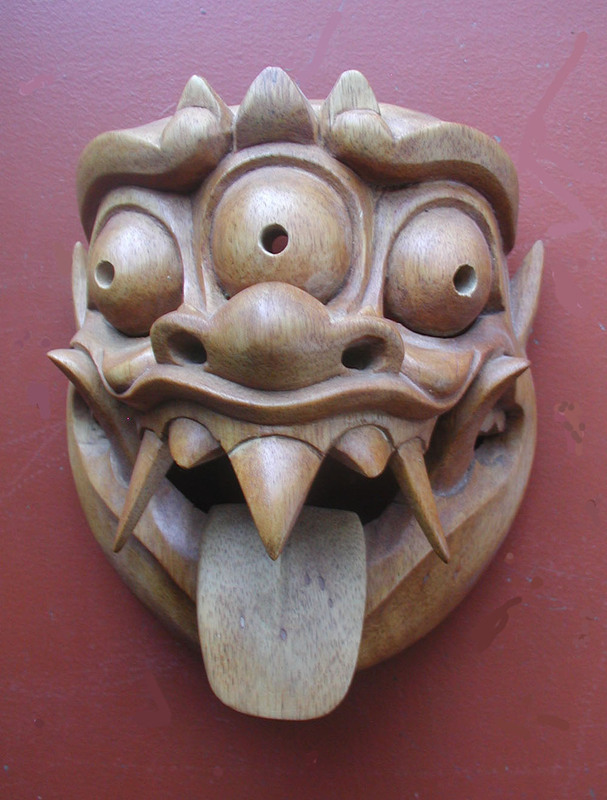 The wood masks are carved with japanese tools and balinese knifes. 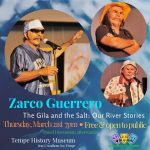 Zarco carves a variety of woods such as cypress, cedar, bass, cottonwood and mahogany. 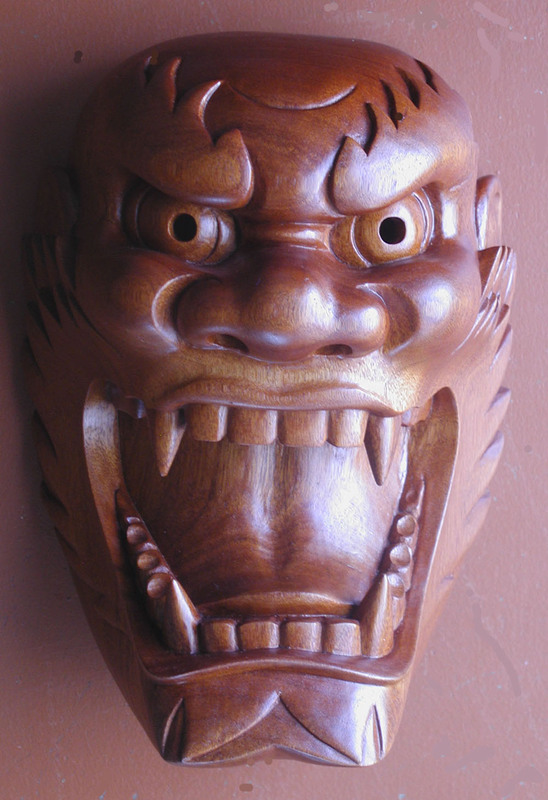 The artist strives to produce a highly refined mask carving in exotic woods for the most demanding of collectors and aficionados.